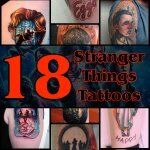 Stranger Things set out to perfectly encapsulate the 1980s movies and TV shows that so many of us fell in love with, but with a very modern spin and a thrilling story, and the Netflix TV show has been nothing short of a blockbuster hit ever since day one. 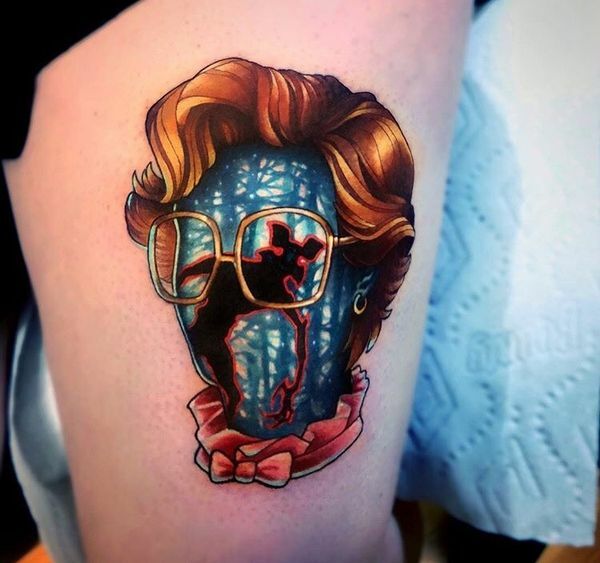 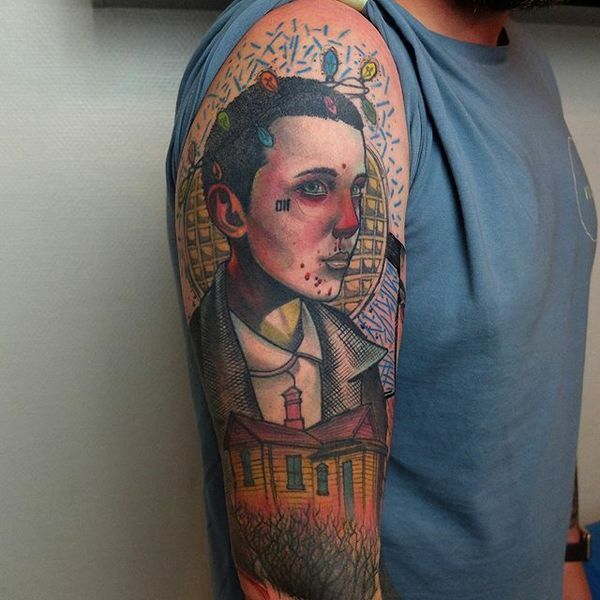 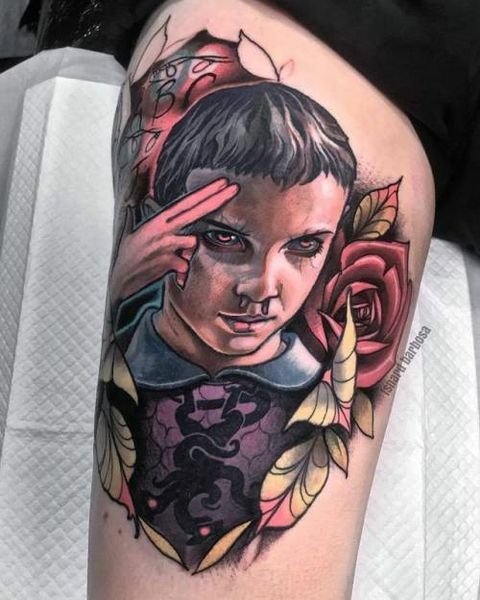 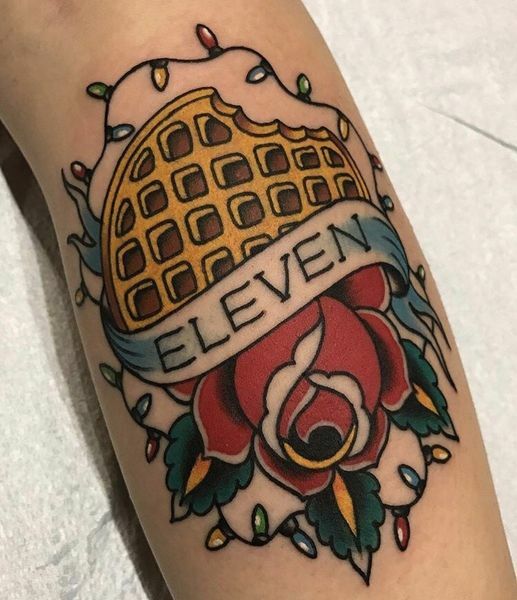 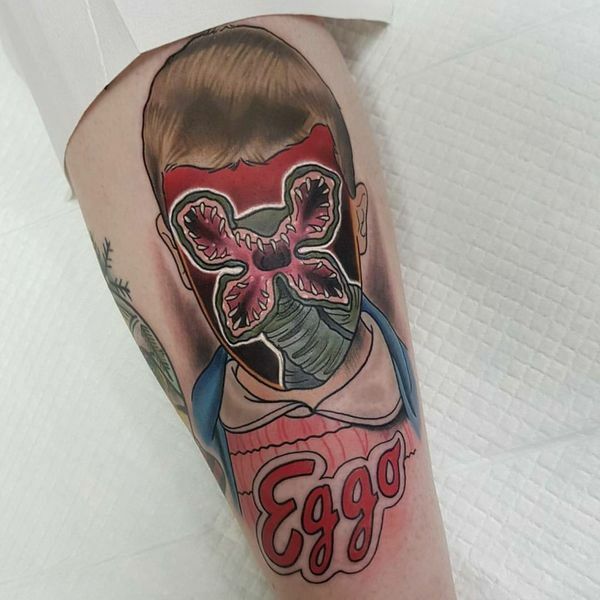 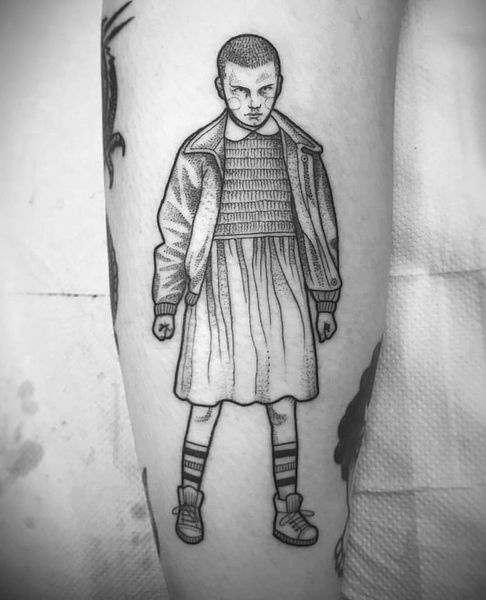 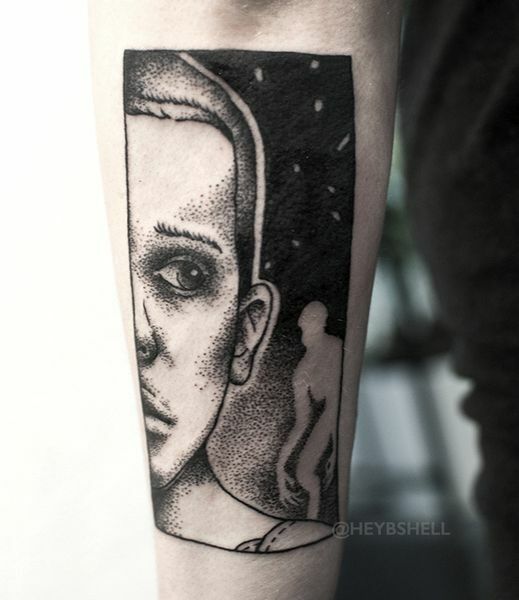 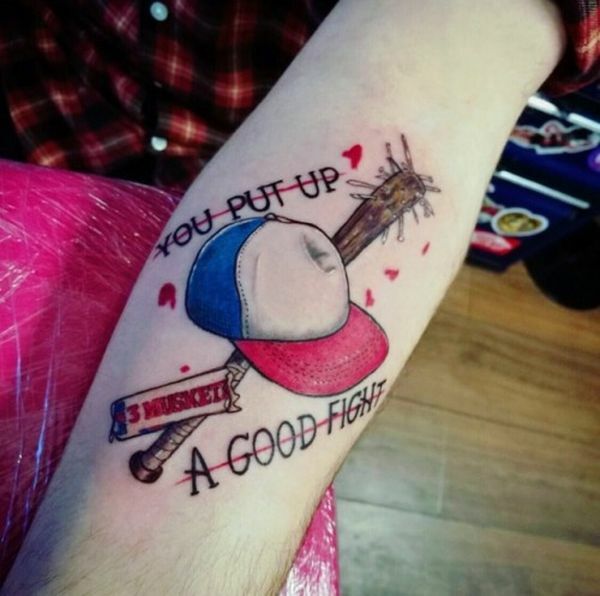 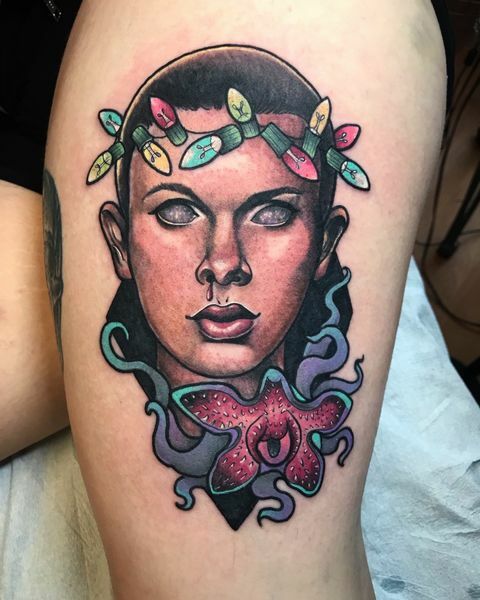 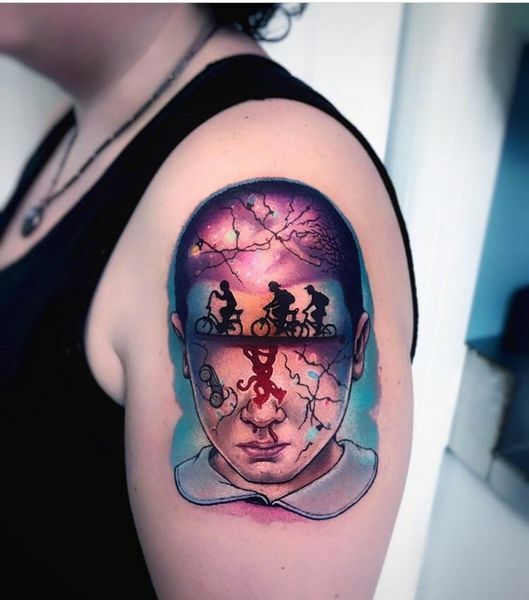 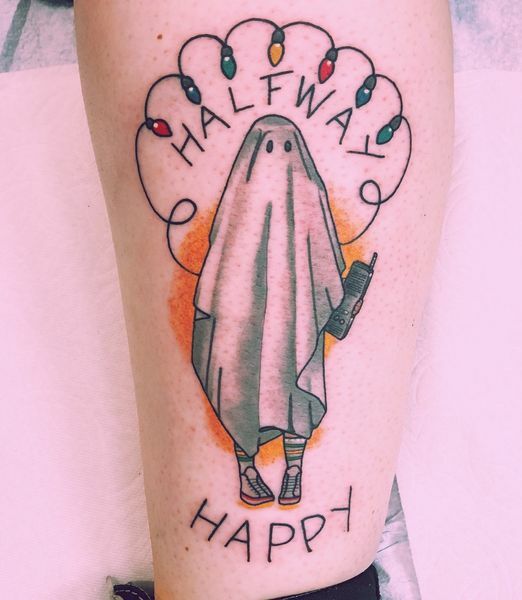 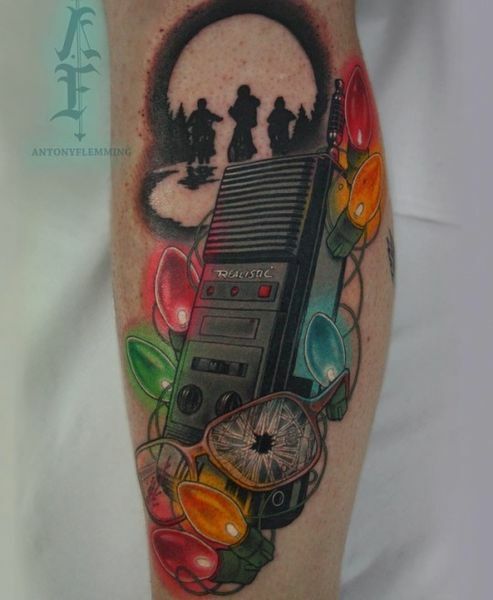 People are so crazy about this perfect blend of nostalgia and modern storytelling that they are getting Stranger Things tattoos left and right. 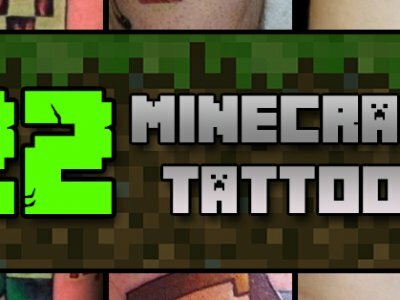 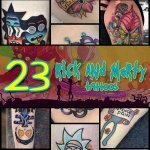 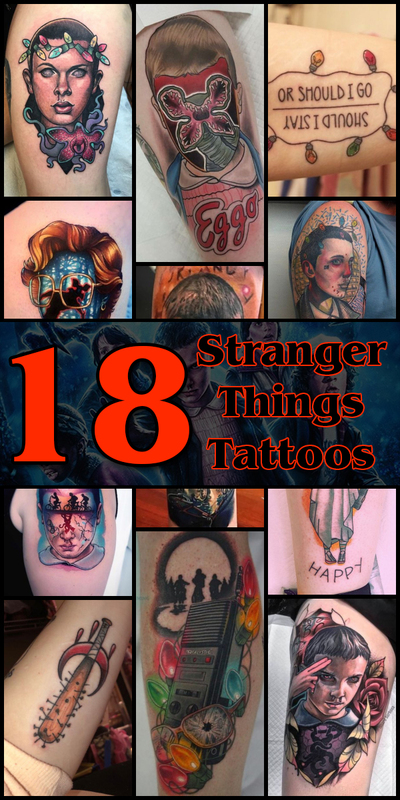 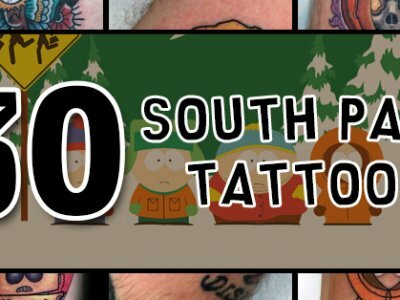 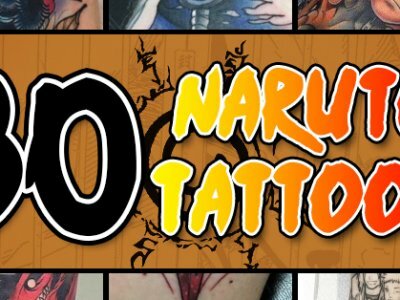 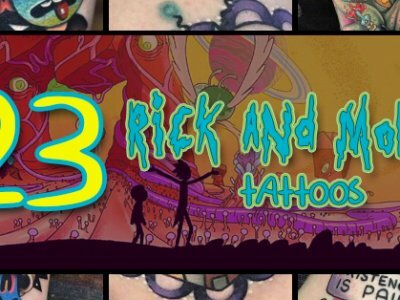 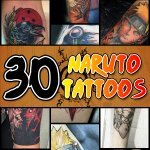 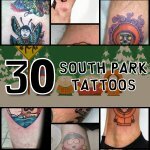 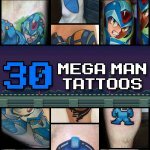 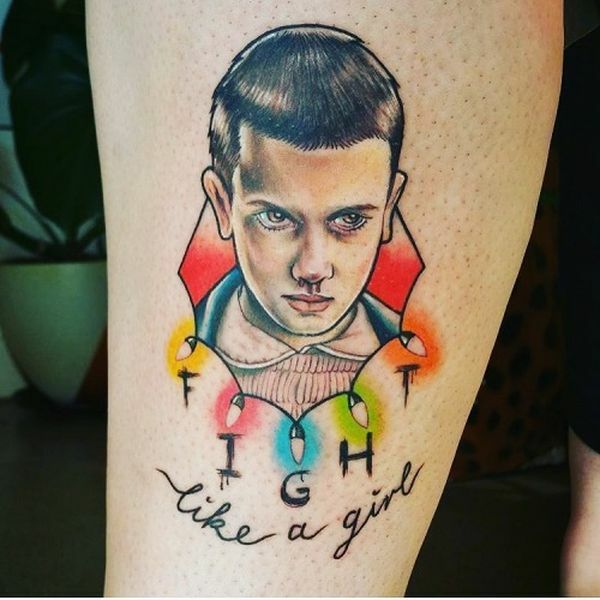 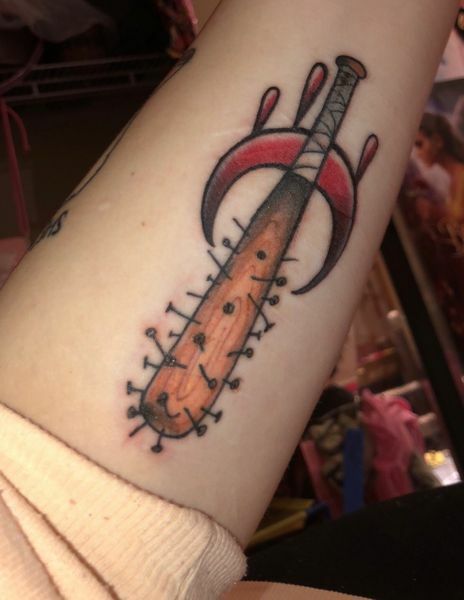 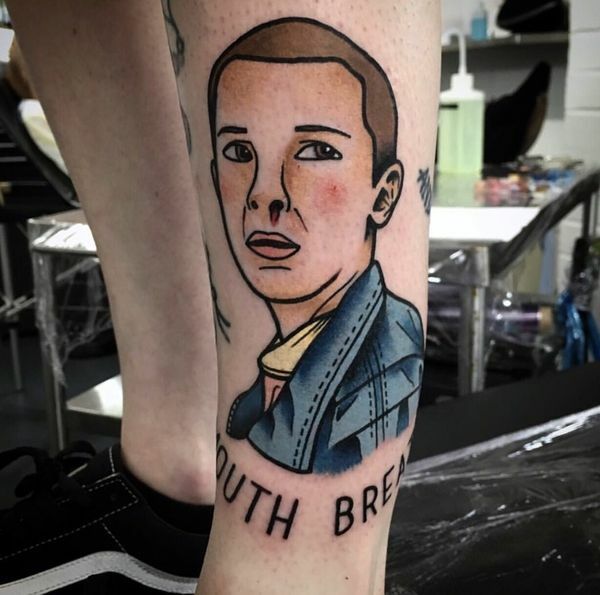 Tattoos of characters, especially Eleven, are incredibly popular, but you’d be amazed at the amount of people even just tattooing the logo of the show on their bodies to show their support and fan hood. 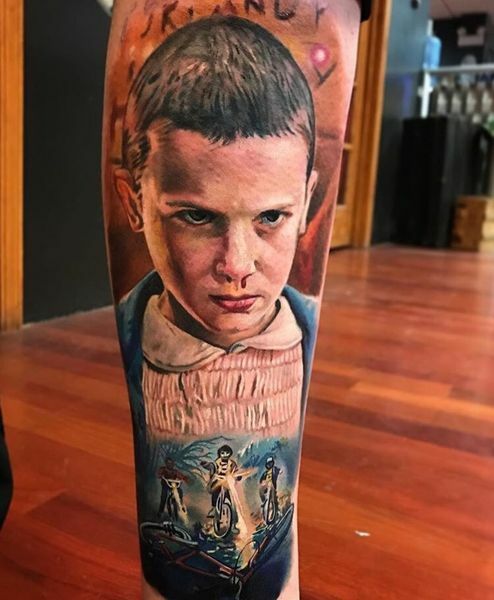 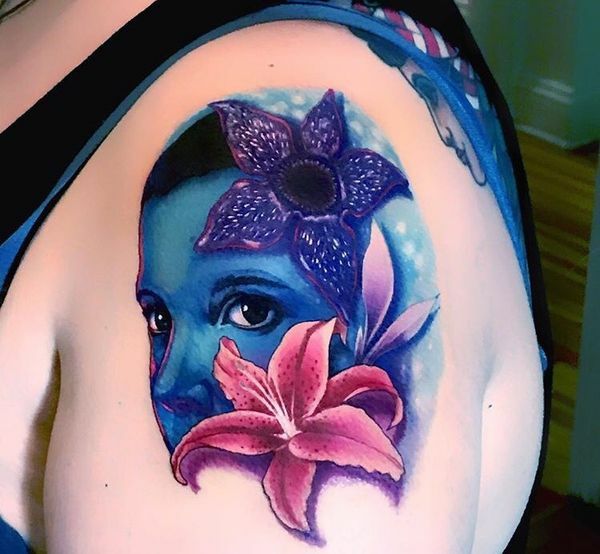 Other fans of the series are tattooing iconic scenes and monsters from the series, mirror images of the “real world” and The Upside Down, and generally playing with the 80s aesthetic and color scheme that Stranger Things has brought right back into the mainstream again. 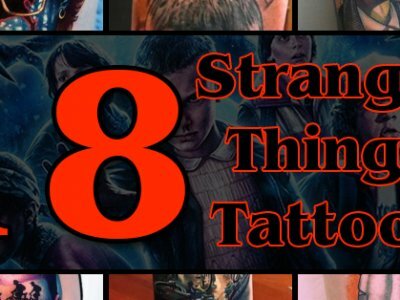 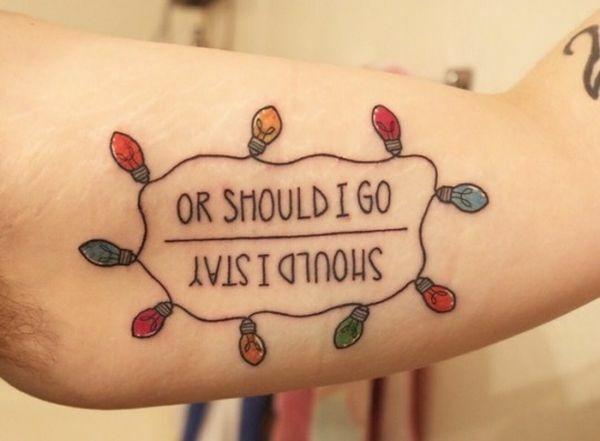 The show isn’t slowing down anytime soon and with a diverse character and cast list, as well as some pretty iconic scenes and items from the show, you aren’t going to have a shortage of Stranger Things tattoo options to pick and choose from. 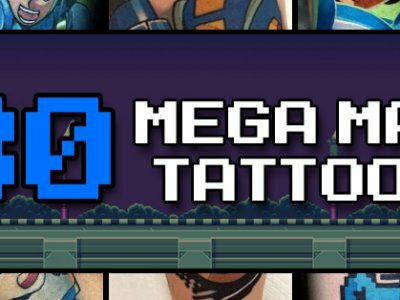 The challenge might be settling on just a handful to move forward with!